The Longest Established Kitchen Company In The Area. NO DEPOSIT Taken On All Installations. 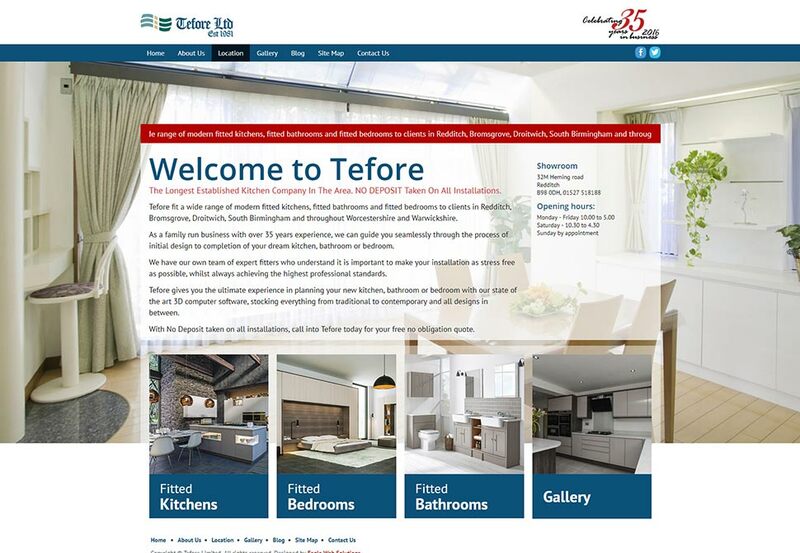 Tefore fit a wide range of modern fitted kitchens, fitted bathrooms and fitted bedrooms to clients in Redditch, Bromsgrove, Droitwich, South Birmingham and throughout Worcestershire and Warwickshire.